Germany's presidential election has long looked like a done deal. But the opposition has found a candidate who could manage to upset the traditional structures - and cause trouble for the government in Berlin. When former President Horst Koehler had his farewell party in Berlin, hardly anyone noticed. It seemed he'd already been forgotten - simply because of the surprising and tense discussions over the nominations for his succession. Usually, the ruling coalition would have presented its candidate for the largely ceremonial presidency and the June 30 vote would have been little more than a formality. Opposition parties can field a competitor but normally have little chance of success. But German Chancellor Angela Merkel's nominee came as a surprise: Christian Wulff is seen by many as a rather colorless conservative state premier. 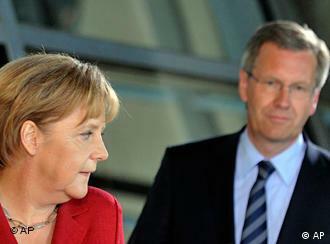 Merkel described Wulff as "a person I got to know during the time of Germany's reunification. He is someone who is willing to try out new paths, someone who's creative and open towards others. At the same time he's someone who is rooted in a value system providing orientation." Christian Wulff served as state premier of Lower Saxony for 7 years and is also deputy party chairman of Merkel's Christian Democrats. He is also backed by the liberal Free Democrats, Merkel's junior coalition partners. 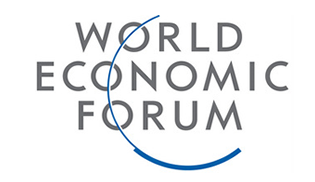 Wulff himself stressed that he would seek to transcend party divisions in his new post. "I think that it is possible to bring people together, to do something for the solidarity in our society, to give people courage and optimism when times are difficult." But not everyone is convinced. 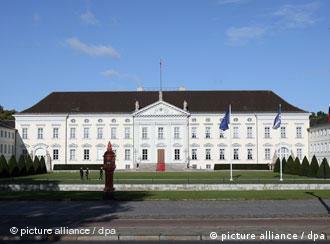 Wulff is seen in many quarters as a party politician deeply rooted in Merkel's Christian Democrats. When the center-left opposition fielded its candidate, it seemed they had pulled off what Merkel had failed to do. Their man, Joachim Gauck, is not affiliated to any party but was a civil rights activist who fought against communist oppression in East Germany. He later became director of the archives of the countless files left behind by the East's former secret police, the Stasi. Gauck is a candidate who is respected across the political spectrum and therefore in a good position to win support also from the members of Merkel's governing coalition. 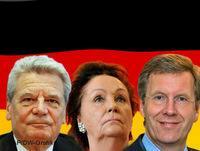 "Joachim Gauck is a candidate with a remarkable record behind him," Social Democrat leader Sigmar Gabriel said. "The coalition's nominee Wulff only has a political career." Polls show that Joaching Gauck enjoys greater popular support than Wulff and German media have been speculating for days what a potential defeat for Merkel's nominee would mean for the government in Berlin. The relentless squabbling in Merkel's coalition has seen her come under fire in recent weeks and a few members of the Free Democrats in eastern Germany have already come out in support of Gauck. But the chancellor does enjoy a comfortable majority in the Federal Convention, the body that elects the new president, so Wulff is expected to win even if some renegades decide to back Gauck. Merkel's coalition has a combined 644 seats in the 1,244 seat assembly. "I have in my life seen things happen that were deemed very unlikely," a relaxed Gauck said about his chances to actually make it. "So I am going into this vote with happy composure." Also in the fray is a third candidate, nominated by the far-left Left Party who said they would vote for neither of the two main candidates. But their nominee Luc Jochimsen has no chance of coming even close to winning. Should Joachim Gauck indeed manage to cause a major upset and win, then some commentators are predicting Merkel's government in Berlin could fall. Yet Gauck himself was the first to come out and dispel such concerns. "I am appalled by this idea in the press that a successful candidacy on my part is an attack on the chancellor," he said. 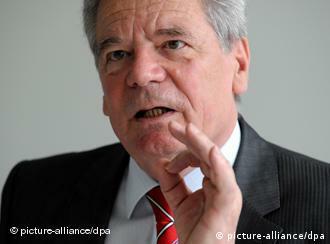 But Gauck added that the next president would have to deal with public disillusionment in German politics. "The German people have a deep longing for credibility in politics," he said.